When you create your Gift Up! account we ask you to connect either your PayPal or Stripe account (you will need to create one of these accounts if you do not already have one!) 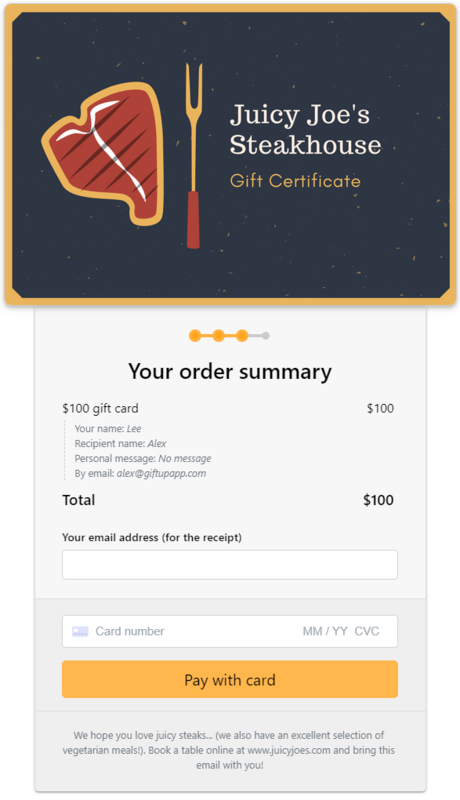 The enables our checkout system to take payment for the gift cards you sell using your Paypal / Stripe account. What about Apple Pay & Pay With Google? All other websites: Supported, requires a file to be uploaded. How to enable Apple Pay on your custom website.